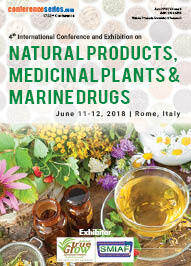 Herbal formulations means a dosage form consisting of one or more herbs or processed herbs in specified quantities to provide specific nutritional, cosmetic benefits meant for use to diagnose, treat, mitigate diseases of human beings or animals, alter the structure or physiology of human beings or animals. Herbal formulations contain an active substance or herbal substance or herbal preparation or herbal substance in combination with one or more herbal preparations. Herbal formulations are obtained by subjecting herbal substances to treatments such as extraction, distillation, expression, fractionation, purification, concentration or fermentation include comminuted or powdered. 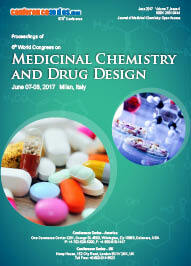 Medicinal chemistry deals with the discovery, desin, development and both pharmacological and analytical characterisation of drug substances. 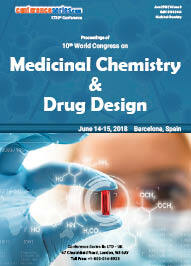 Medicinal chemists are indispensible in the preclinical stages of drug development, and again as pharmaceutical chemists in drug quality control Medicinal chemists have a chance to participate in the fundamentals of prevention, therapy and understanding of diseases and thereby to contribute to a healthier and happier life. Medicinal chemistry deals with the facets of Chemistry, Pharmacoanalysis and the chemical analysis of compounds in the form of like small organic molecules such as insulin glargine, erythropoietin, and others. It also helps in developing new chemical entities from existing compounds that are of medicinal and therapeutic effect. A natural product is a chemical compound or substance produced by a living organism—that is, found in nature. In the broadest sense, natural products include any substance produced by life. Natural products can also be prepared by chemical synthesis (both semi synthesis and total synthesis) and have played a central role in the development of the field of organic chemistry by providing challenging synthetic targets. 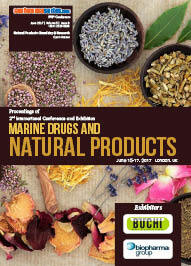 The term natural product has also been extended for commercial purposes to refer to cosmetics, dietary supplements, and foods produced from natural sources without added artificial ingredients, Within the field of organic chemistry, the definition of natural products is usually restricted to mean purified organic compounds isolated from natural sources that are produced by the pathways of primary or secondary metabolism Within the field of medicinal chemistry. It is a holistic approach to deciphering the complexity of biological systems that starts from the understanding that the networks that form the whole of living organisms are more than the sum of their parts. It is collaborative, integrating many scientific disciplines – biology, computer science, engineering, bioinformatics, physics and others – to predict how these systems change over time and under varying conditions, and to develop solutions to the world’s most pressing health and environmental issues. Systems biology is an approach in biomedical research to understanding the larger picture—be it at the level of the organism, tissue, or cell—by putting its pieces together. It is a biology-based interdisciplinary field of study that focuses on complex interactions within biological systems, using a holistic approach (holism instead of the more traditional reductionism) to biological research Systems biology is the study of biological systems whose behaviour cannot be reduced to the linear sum of their parts’ functions. Toxicology is the study of chemicals that can cause problems for living things. It’s a wide-ranging field: The chemicals may occur naturally or have been created in a lab or factory; the living things may be humans, pets, livestock, or microbes living in a pond. And the problems that concern toxicologists stretch from inconvenience to disaster—from mild skin irritation, for instance, to death.Toxicology is a field of science that helps us understand the harmful effects that chemicals, substances, or situations, can have on people, animals, and the environment. Some refer to toxicology as the “Science of Safety” because as a field it has evolved from a science focused on studying poisons and adverse effects of chemical exposures, to a science devoted to studying safety. Plants and other living organisms have great potential to treat human disease. There are two distinct types of biomedical research that seek to develop this potential. The Botanicals and Human Health Program is to identify botanical products with the potential to improve human health and to enable the safe, effective and proper use of high quality botanical products by healthcare professionals and consumers. Include economical production of podophyllotoxin, an important intermediate in the synthesis of anticancer agents, agronomic potential of medicinal plants in Mississippi, value-added development of botanicals through harvest, post-harvest and storage practices, and market research to quantify commercial potential. Traditional medicine is an amorphous concept that comprises a range of long-standing and still evolving practices based on diverse beliefs and theories. Bodeker and Burford point out the dichotomous situation of particular forms of traditional medicine being practised in their countries of origin and also in countries to which they have been “imported” Traditional medicine it is defined as the medical treatment based on the use of drugs and surgery to treat symptoms (signs of illness) Alternative medicine covers a broad range of treatments and is also referred to as complimentary alternative medicine (CAM). Practitioners emphasize education, prevention of disease, and holistic treatment. Some of the most well-known alternative treatments include acupuncture, aromatherapy, chiropractic, herbal medicine, homeopathy, massage, meditation, therapeutic touch, and yoga Traditional medicine treats the body part or symptom of the disease, which earns it criticism for neglecting the big picture of total body care. Plant Physiology is a broad-spectrum that welcomes high-quality submissions in all major areas of plant physiology: growth and development, biochemistry and metabolism, transport and translocation, and plant responses to biotic and abiotic stress. Plant Pathology is defined as the study of the organisms and environmental conditions that cause disease in plant, the mechanisms by which this occurs, the interactions between these causal agents and the plant (effects on plant growth, yield and quality), and the methods of managing or controlling plant disease. It also interfaces knowledge from other scientific fields such as mycology, microbiology, virology, biochemistry, bio-informatics, etc. Plant Science or more appropriately referred to as Botanical science, is the branch of biological science that involves study of the morphology, anatomy, taxonomy and physiology of plants. It also includes study and analysis of molecular aspects of plant metabolic pathways, and the ecological relationships existing between various plants. In addition, plant sciences also include the study of basic concepts and applied aspects of experimental plant biology, genomics, proteomics, plant biochemistry, cell biology, evolutionary biology, functional plant breeding and systems biology. Homeopathic medicine is a system that stimulates our immune system to fight disease In Homeopathic remedies, highly diluted substances are prescribed. Homeopathic Bach flower remedies use flowers steeped in sunlit water. Homeopathic remedies are prepared according to the guidelines given in the Homeopathic pharmacopoeia. In preparing Homeopathic medicine, the ingredients are diluted with distilled water or alcohol and shaken vigorously. Ayurveda a holistic system with its own fundamental tenets. Ayurveda emphasizes the balance between body, mind, and soul for healthy living. Traditional use of herbal medicines refers to the long historical use of these medicines. Their use is well established and widely acknowledged to be safe and effective, and may be accepted by national authorities. The traditional herbal healer therapies contain many medicines for one ailment. Out of the various medicines, one is selected by the herbal healer against a particular disease according to the symptoms and secondary effects. Several plants are identified and used against one disease and are used according to their availability in the region. Herbal medicines are naturally occurring, plant-derived substances that are used to treat illnesses within local or regional healing practices. These products are complex mixtures of organic chemicals that may come from any raw or processed part of a plant.